Piedmont StairWorks is constantly growing and seeking opportunities for improvement. We really listen to our customers and value the comments that we recieve from them. We periodically send out comment cards to our builders, homeowners and architects to find out what we are doing right, and more importantly what we can do better. We truly are a customer driven company and strive to make each customer's experience enjoyable. 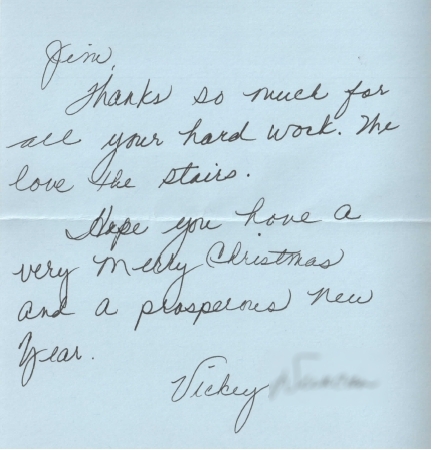 Every employee takes great pride in the stair work that they do and we always appreciate the opportunity to share a customer's experience with each and every employee. So feel free to drop us a note.